A special operation was held in Kharkiv. 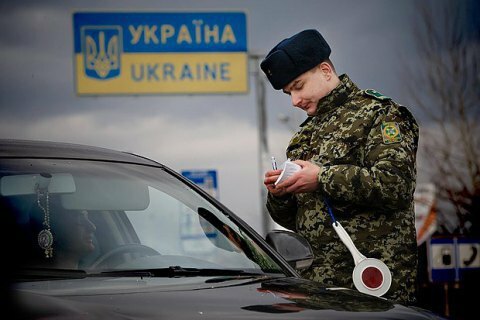 Ukraine's Security Service (SBU) jointly with prosecutors, police and the Migration Service have succeeded in blocking several transit routes used by Islamic State terrorist organisation to smuggle militants through Ukraine's territory, UNIAN has quoted the SBU press service as saying. Special service officers in Kharkiv have found a private apartment that was used for a temporary stay by the ISIS members going to Syria and Iraq through Ukraine, according to the report. There were four foreigners in the transit point, who were immigrants from Central Asia. Two of them had been deported from Turkey in connection with involvement in terrorist activities. They had several faked passports for various countries. The other two detainees have been staying in Ukraine till their documents are ready to smuggle to Syria through Turkish territory, the report said. The funds used to pay rent for the apartment and prepare forged travelling documents have been received from abroad. International donors also ensured smuggling corridors in international airports. Special records were kept to report on the use of funds by ISIS members. The two detainees have been already expelled from the territory of Ukraine based on court decisions. The investigation regarding the other two detainees is under way. What can Ukraine learn from Moldova and Georgia about limiting the president's powers? Minsk is faced with a tough choice between Russian subsidies and sovereignty. What will Lukashenka do?